A rich portrait of post-Victorian England, The Deepest Night seamlessly blends thrilling romance with riveting history and adventure—perfect for fans of Libba Bray and Lauren Kate. It’s 1915, and sixteen-year-old Lora Jones is finishing up her first year as a charity student at Iverson, a prestigious, gothic boarding school on England’s southern coast. While she’s always felt different from everyone around her, now she finally knows why: She is a drákon, a rare, enchanted being with astonishing magical abilities. As war hits Britain’s shores, and Lora reels from an unimaginable loss, she finds that her powers come with grave and dangerous responsibilities. At the request of Armand Louis, the darkly mysterious boy whose father owns Iverson, Lora will spend her summer at his lavish estate. To help the war effort—and to keep Lora by his side—Armand turns his home into a military hospital, where Lora will serve as a nurse. For Armand is inescapably drawn to her—bound to her by heart-deep secrets and a supernatural connection that runs thicker than blood. Yet while Lora tries to sort out her own feelings toward Armand, fate offers an unexpected surprise. Lora discovers there is another drákon, a prisoner of war being held in Germany. And that only she, with her newly honed Gifts, will be able to rescue him. With Armand, Lora will cross enemy lines on an incredible mission—one that could bond her to Armand forever, or irrevocably tear them apart. 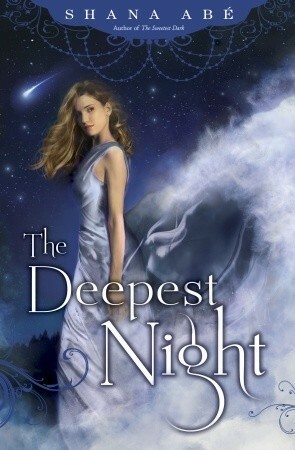 Beautifully written, deeply romantic, and filled with daring adventure and magic, The Deepest Night is a mesmerizing novel of the enduring pull of destiny, and the eternal strength of love. I really wanted to love The Deepest Night. It had a love story, heartbreak, history, and dragons... but I just couldn't really get into. I felt like this book was an "almost"- it was almost exciting, almost passionate, almost intense- but it didn't get there for me. I still love Lora. I love that she is a little crass, a little crazy, and incredibly independent. She is a ton of fun to read and her narration is witty and smart. As much as I loved Jesse in the first book, I hate when things are so "easy" for characters and it was nice to see a relationship organically happen. There were a few scenes between Armand and Lora that made me mentally jump up and down and think- "This is where the book takes off!" It simply didn't happen. As I am thinking back, my biggest problem is that a majority of the storyline was simply forgettable. I remember the main details, but sadly the rest didn't stick. I feel absolutely awful saying that, but it is the truth. I actually think that sums up my entire review well. It wasn't awful, it wasn't fabulous, it was just "meh." I will continue on with this series because I do like Lora and I think the idea behind the series is incredibly interesting. Gah-not the review I want to read when I have this coming up on my to-read pile. I wish you could be more enthusiastic about this but hopefully it will work better for me.